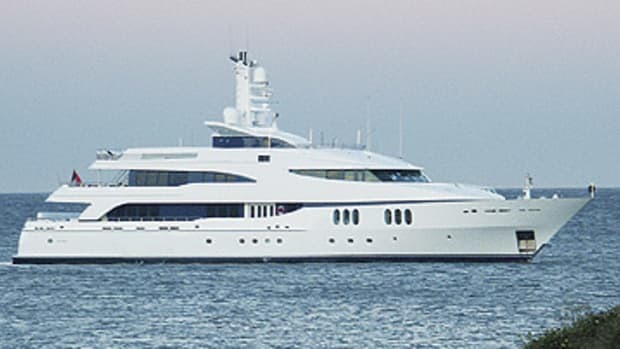 Considering Herb Chambers, a successful car dealer, sold the larger successor he was building to replace this yacht, he decided to keep this "small" lady after all. 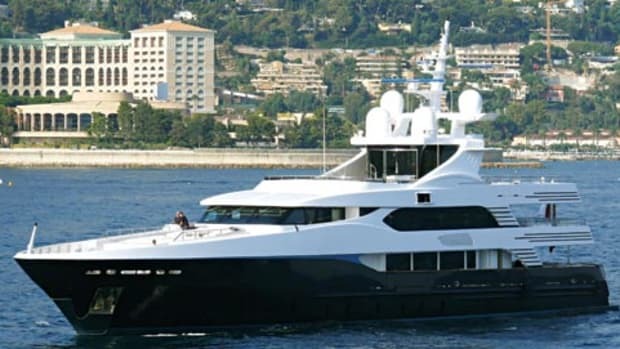 She charters for F340,000 (about $462,400) per week in the Med and Caribbean, and she boasts a skylounge that converts to a theater, complete with Surround Sound. She also has her VIP stateroom on the bridge deck.